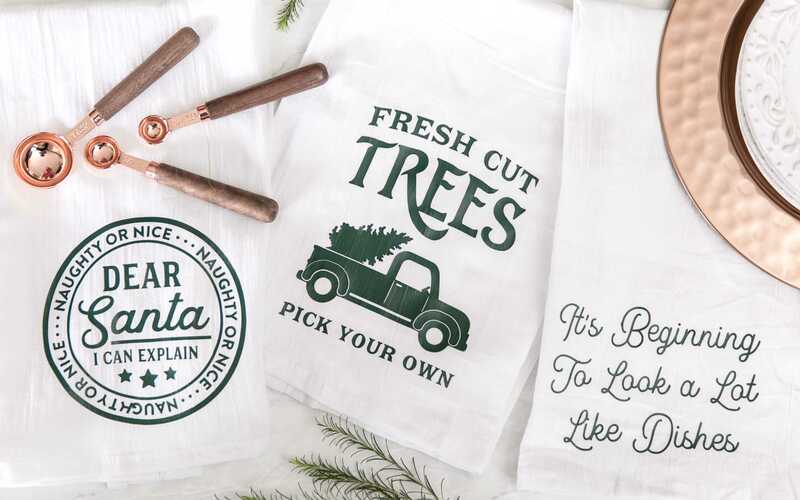 Look no further than this tea towel holiday gift DIY this Christmas! 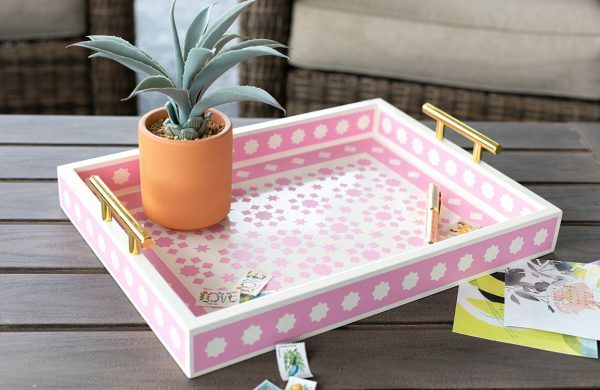 DIY projects are the perfect way to save money and give a handmade gift that really means something! 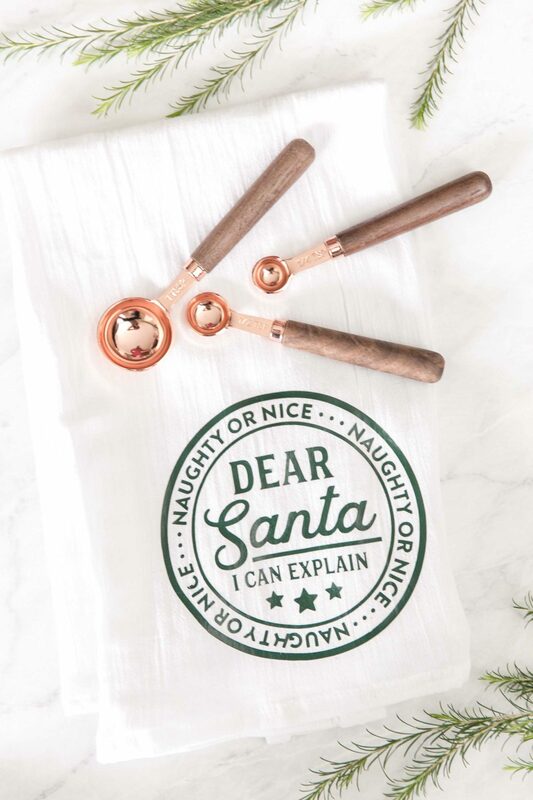 These tea towels are not only perfect for the kitchen but also could not be any cuter. 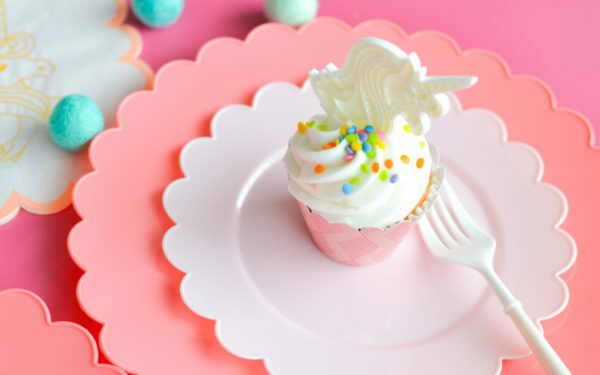 A set of 3 makes the perfect gift for friends, family and your favorite hostess. You can order the tea towels off Amazon, and they are quite affordable. The pack I bought was a qty of 20, and I made several sets as gifts for the cooks and bakers in my life! 1. 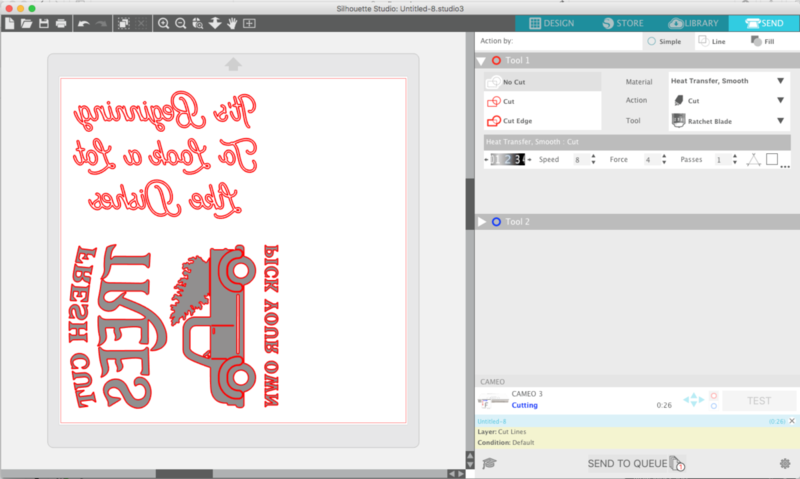 Locate Design IDs in your library and double-click to open the design in Silhouette Studio®. 2. Adjust the size of the design by selecting it entirely and dragging the outer corner to make it larger or smaller. According to the size of your tea towel, you’ll want to adjust your shape to complement its size. 3. 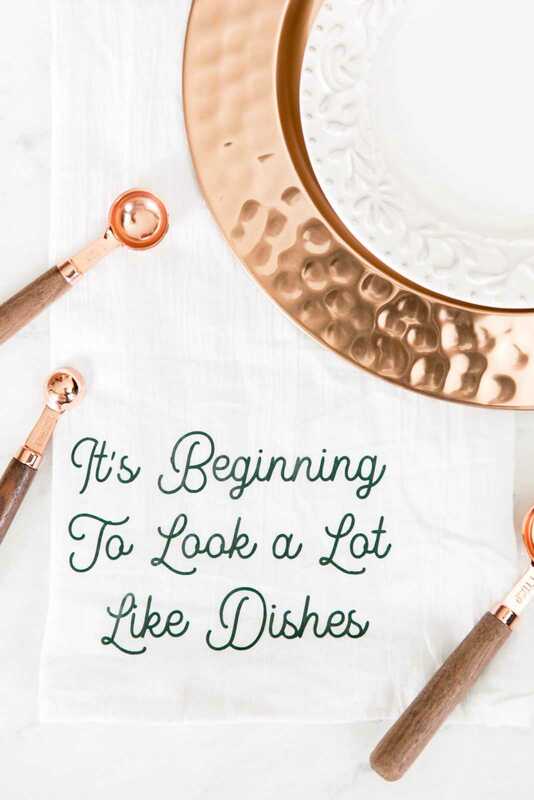 For the “It’s beginning to look a lot like dishes” tea towel, it is a simple centered type but I thought the phrase I came up with was SO perfect and a play on words. 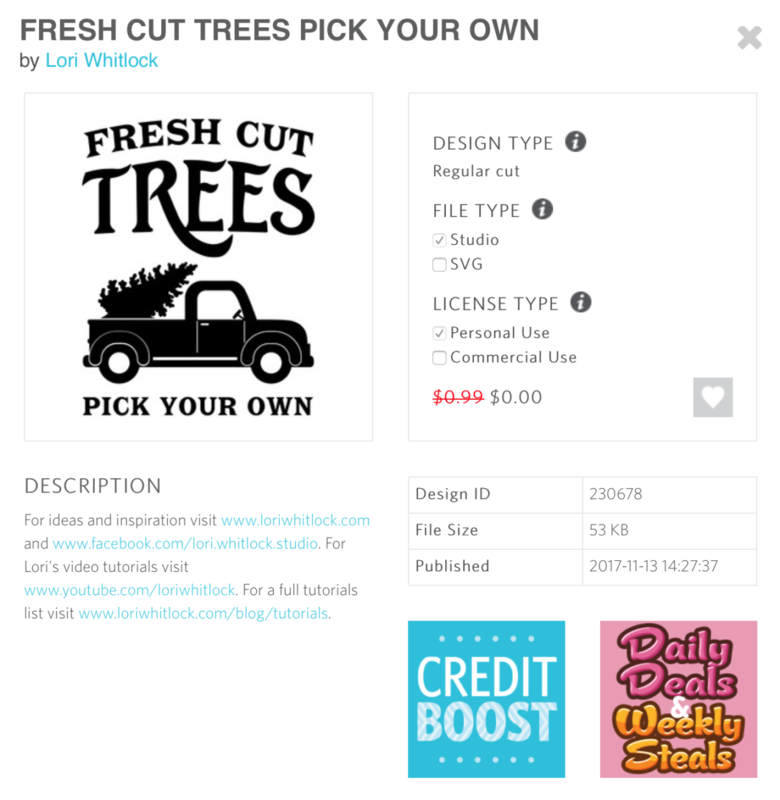 Now that your design is ready to go you are all set to cut your designs. 1. 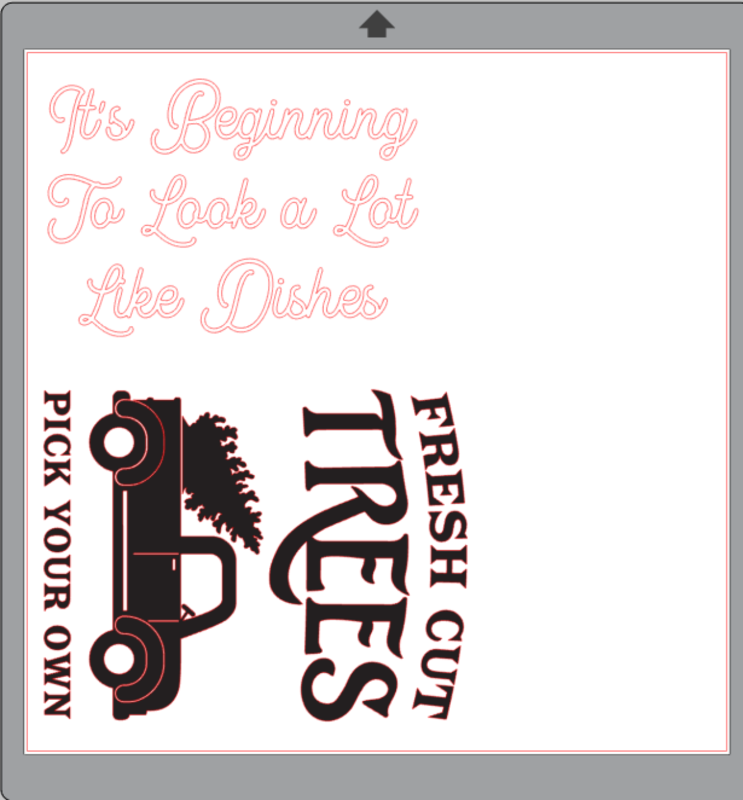 Whenever you are cutting heat transfer, you want to make sure that you cut it correctly. Remember to mirror your image before you cut it! Thankfully I have the latest version of Silhouette Studio® and the Cameo 3, and the software asks me BEFORE it cuts if I want to mirror the image. This is PRICELESS. 2. 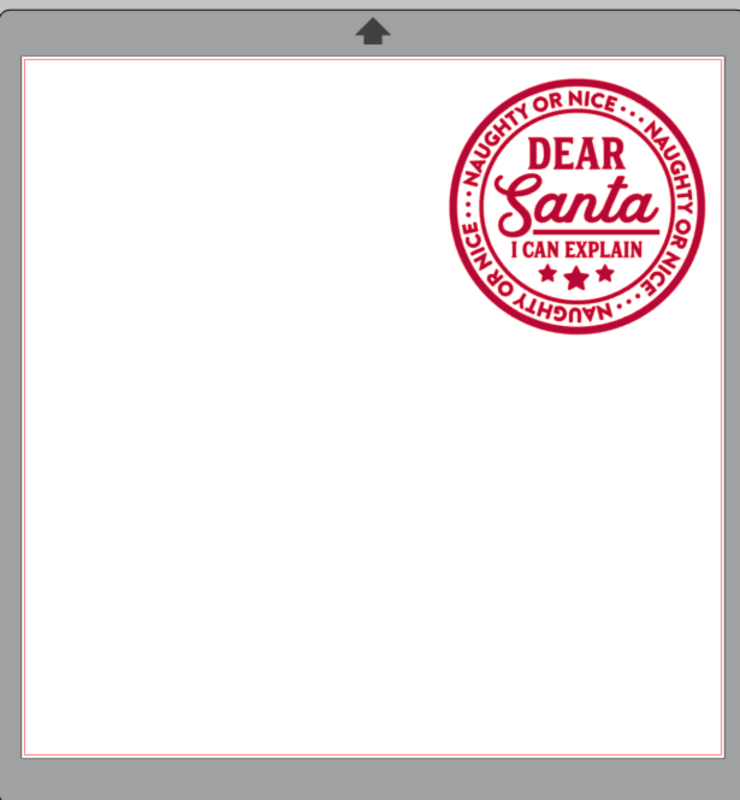 Load your heat transfer into your machine or place it on a cutting mat. Then in the Send window of Silhouette Studio®, make sure to select the correct material (smooth heat transfer in this case). It will then tell you what to adjust your blade to. If you’ve got an AutoBlade, then you don’t need to adjust your blade manually. 3. After your design is cut, weed the excess material away to leave only the art you want on the tea towels. 4. Iron on your design with a cloth pressed between the design and the iron. Use a low-heat setting or a shirt press. I find that if you wait about 60 seconds for the design to cool, prior to peeling the plastic sheet off, you will have an easy time removing it from the fabric with ease. If the design has not adhered fully, just repeat the ironing process until it is completely ironed on. Happy Holidays! I hope you love this set of tea towels!